Here we go again; do you want to dive with some of the most amazing and inquisitive creatures in the sea? Well don’t delay get on one of these great trips. The first group will dive on Mon & Tue 21st & 22nd October (staying Sunday evening 20th & Monday 21st) then the second will dive Wed & Thur 23rd & 24th of October (staying Tuesday evening 22nd & Wednesday 23rd). Let me know your preference when booking, you can of course stay the whole 4 days if you so wish!! If the seals are like 2018’s then 4 days will be amazing!! We will again be diving with Andrew & Crew at Sovereign Diving & staying in the Olde School house in Seahouses. There are great facilities in Seahouses, so eating is easy and good. The day will start with one of Joan’s great breakfasts, we will then depart to the harbour, get kitted up, load the boat and set out for the Farnes Islands. 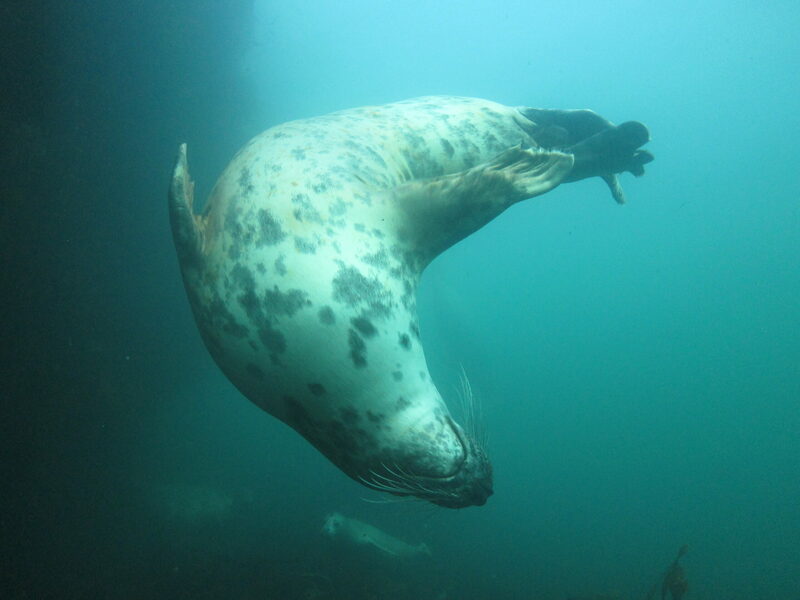 Once there we will do two dives (with a break for lunch) before returning to Seahouses early afternoon. We then normally catch up on world affairs before eating at one of Seahouses great venues. You will be required to bring your own kit plus 2 cylinders, Andrew will rent you a cylinder for £7 per day including air if required and air fills are available for your own cylinders at Sovereigns workshop for £4.50. The inclusive cost of boat + B&B accommodation for the two days of your choice will be a cracking £190 which is only £5 increase on 2018, great value!!! A £50 deposit will be required to book & secure your space. Please contact us via email simon@stellardivers.co.uk call the office on 01522 703116 or use the button below to book a space.